* In truth, my friendship with Professor Herbert was remarkable! I had just one class with him senior year at Washington University--Ancient Greek History-- and then 8 years later I ran into him at Borders Bookstore. I then ran into him in the St. Louis County Library. We began emailing, he read my first novel, The Moment, Before Sleep, and he gave a lot of wonderful perspective on the craziness of the modern world for a good 8 years through his philosophical and at times very humorous observations. As you can tell I COULD NOT get enough of the gorgeous 9th-century temple of Bhoganandeswara. 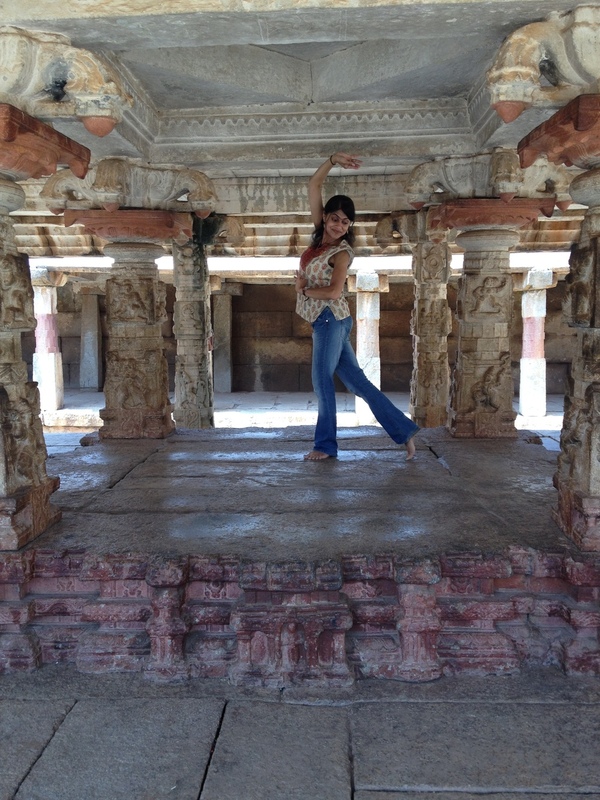 I am dancing where the devadasis (temple dancers) once danced!